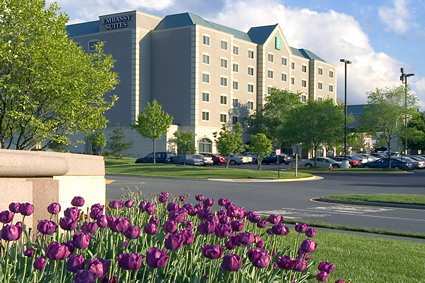 PLEASE MAKE SURE TO BOOK YOUR RESERVATIONS BEFORE THE DEADLINE FOR THE MEBO RATES, WHICH IS ON MARCH 18TH. YOU CAN HOLD YOUR RESERVATION WITH A CREDIT CARD, AND YOUR CARD WILL NOT BE CHARGED UNTIL YOU CHECK OUT AFTER YOUR STAY. 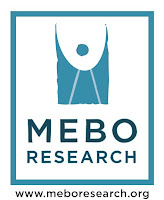 MEBO Research is holding our second annual meetup in the US, and this year it will be in Washington DC on April 9th and 10th, 2011 at the Embassy Suites, Dulles Airport. THE DULLES AIRPORT EMBASSY SUITES has created a webpage especially for MEBO Research's annual meetup to facilitate our reservations process! On this webpage you can see all the hotel and booking details, such as the special rates offered to MEBO members and guests for our meetup, the applicable Check-in dates, booking deadline, Tour Hotel, Maps, Directions, Amenities, and sites to visit in the area. Most importantly, making reservations for our group rate is only a click away. Please read the terms and conditions carefully for information on the multiple taxes imposed on this rate. You can guarantee your room at any time with a credit card, which will not be charged until checkout time after your stay. Inf you wish to cancel your reservation, you would need to do so 24 hours before arrival to avoid cancellation penalties. There is also a fee for early departure. We have so many new topics of discussion on our first day, Saturday, April 9th, including MEBO's new International TMAU Test Program, new testing opportunities in Europe, presentation on Bromhidrosis and discussion on Dr. John Cashman's interview, MEBO's aims as a now new Public Charity, and more. We will have plenty of time for socializing for breakfast, lunch, and dinner, and during our daily 2-hour Manager's Reception serving complimentary alcoholic and non-alcoholic beverages and snacks. On the second day, Sunday, April 10th, we can take the nearby Metro and go to the Washington DC Mall, and enjoy all the beautiful sights of this nation's capital. Depending on the weather, we can begin with outdoor activities by visiting the famous Lincoln Memorial, Vietnam, Korean, and World War II Memorials, and then walk our way down to the Washington Monument and further to the Capital Building. There are three Metro Stations in this long 1 mile outdoor "Mall" that we can take to avoid too much walking. If the weather is not great that day, we can always go into any of the Smithsonian Institute Museum buildings that line both sides of this Mall, such as the Air and Space Museum, Natural History Museum, American History Museum, and more. There's plenty to chose from to do once we're there. Hope to meet so many of you personally! I hope all of you can come. It would most certainly be a wonderful experience.